We’re working hard to make this next event even more fun and inclusive of all fitness levels. With that, your ideas and comments are welcome so contact Kelley@motionstarved.com if you have any ideas! Mr. Bus is a good loser! We did it! We Beat The Bus! Congratulations to all who came out and braved The Bus last night! Everyone was absolutely amazing and super nice! Stay tuned for the full race report, for now, visit Motion Starved on Facebook for pictures and even video! Yeah! It’s almost Run with the Bus Day! Run with the Bus 2013! Imagine! Tomorrow evening you’ll be racing a Muni bus up a nasty hill while your adventure-challenged friends are fighting the wind at Crissy Field for the 99th time, or running to nowhere on a treadmill. Damn, we’re cool! Here’s how it’s gonna go down tomorrow: Get yourself to at Cervantes & Fillmore NOT A SECOND LATER THAN 6:15PM. You will have to sign a waiver and listen to me talk about important stuff like the route and how to claim your prizes. It’s all gonna happen really fast cuz when the bus sputters up at 6:30 (or so), we have to be ready to launch. If you’re a Masters Racer (40+), pushing a stroller or a dog, you get to run. If you’re under 40, you’ll have a special challenge waiting for you this year. I’ll fill you in on that at the start. Racers will follow the Muni route and obey traffic rules just like the bus! No running stop signs, lights or people over on the sidewalk! The finish line is at FILLMORE & SACRAMENTO. Right in front of Evolution Fresh. After the race we’ll cross the street and celebrate at the Athleta store with snacks (no dried-up Costco carrots I swear!) and awards. This is a casual, FREE, self-timed event in the interest of fun and fitness, not a comment on Muni service. Runners, walkers, dogs, strollers, everyone is welcome! Lastly, don’t forget you’ll need to get home after the race. Unfortunately Motion Starved is not able to provide transportation back to the start so you’ll need to bring bus fare or run/walk back. Oh… and if you’d like, you can stash your things at the Athleta Store before the race and then run/bus to the start. That way you’re stuff will be at the finish waiting for you. Got it? I think that about covers it! If you have any questions leave me a message here or write to Kelley@motionstarved.com. Otherwise… lace up your fast legs and pray for a tail wind! 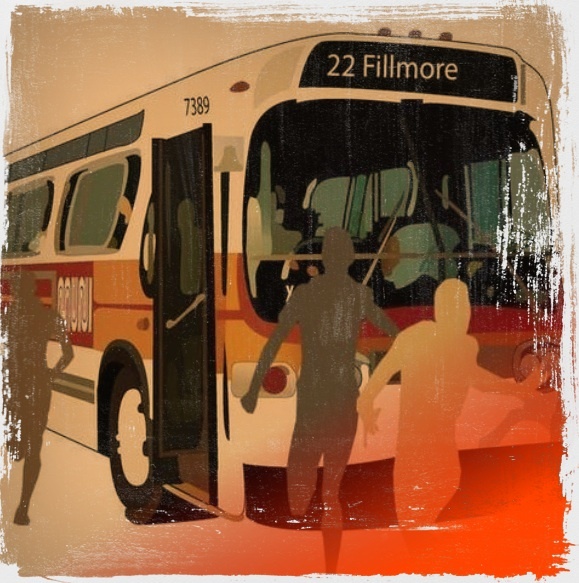 Join Motion Starved for… Run with the Bus 2013! We’re gearing up and it’s gonna be even better this year! Do you have what it takes to beat the bus? Here’s how it works: We meet at Cervantes & Fillmore. When the bus sputters up at 6:30 (or so), we launch. If you’re a Masters Racer (40+), pushing a stroller or a little dog, you get to run. If you’re under 40, you’ll have a special challenge waiting for you this year. Racers will follow the Muni route and obey traffic rules just like the bus! No running stop signs, lights or people over on the sidewalk! The finish line is at Fillmore & SACRAMENTO. 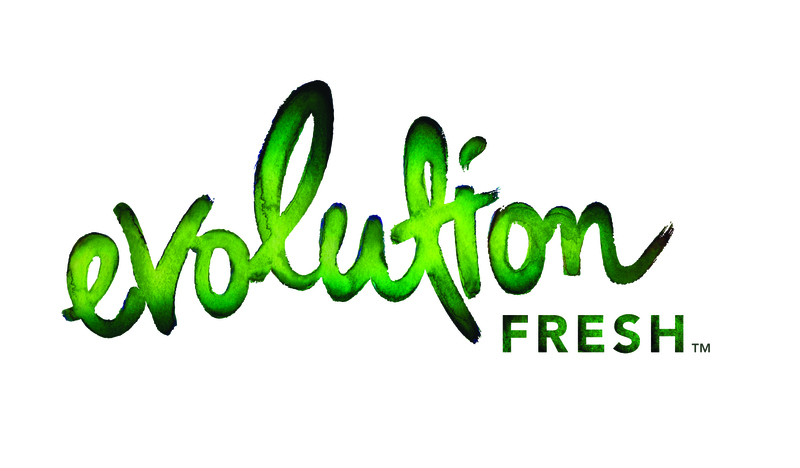 Right in front of Evolution Fresh. After the race we’ll cross the street and celebrate at the Athleta store with snacks and awards. This is a casual, FREE event in the interest of fun and fitness, never a comment on Muni service. Runners, walkers, dogs, strollers, everyone is welcome! Prizes to those who reach the top of The Hill first as well as top finishers. Categories include: Bus, Masters, General, Stroller & Doggie! To register, visit our link on Facebook & let us know you’re coming! Or, contact Kelley@motionstarved.com. We did it! We Ran with the Bus! And we crushed it! 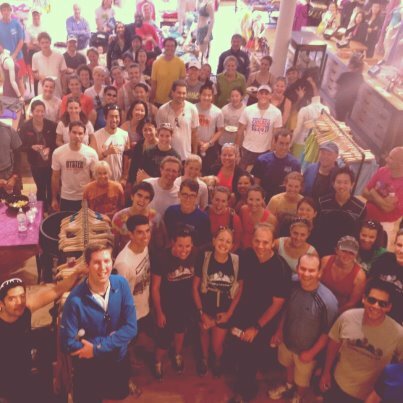 Click here for your Official Run with the Bus Race Report! Why go all the way to Pamplona Spain to run with ornery beasts when you can Run with the Bus here? Let me start by saying, we at Motion Starved are very excited that so many of you will be joining us for Run with the Bus this season! It looks like we’ll have quite an impressive field of racers this time. So… Thank you in advance for your support! On that note, it’s important to mention that this is an event designed show folks that exercise can be lots of fun and to bring out the kid in all of us. It’s an excuse to run up a hill and act a little nutty, in no way is it meant to be a comment on Muni service. In fact, we hope that Muni will take this challenge in stride and play along with us. As noted, there will be prizes for the first few to reach the top of the hill as well as finisher prizes (even if the bus gets there first). I should also mention that just like the bus, all “racers” are expected to obey the rules of the road (stop and wait at the light!) and exhibit acceptable sidewalk etiquette (no knocking into people please). If the Muni Schedule proves accurate, there should be a 22 Fillmore arriving at Cervantes and Fillmore at about 6:30 pm (last year it was late). When the bus leaves the bus stop we’re off and running, so be ready. Since the course is only about 1 mile long and goes up hill pretty fast I suggest you warm up before the start. I will be leading a short warm up starting at 6:25 please attend if you’re able. Lastly, don’t forget you’ll need to get home after the race. Unfortunately Motion Starved is not able to provide transportation back to the start so you’ll need to bring bus fare or run/walk back. AND… don’t forget, after you cross the finish line head over to Athleta on Fillmore where we’ll have our award ceremony and be showered with recovery snacks (no dried-up Costco carrots here) courtesy of our friends at Athleta. I think that about covers it. Grease up your fast legs and I’ll see you tomorrow… If you have any questions, comment here or Facebook me. 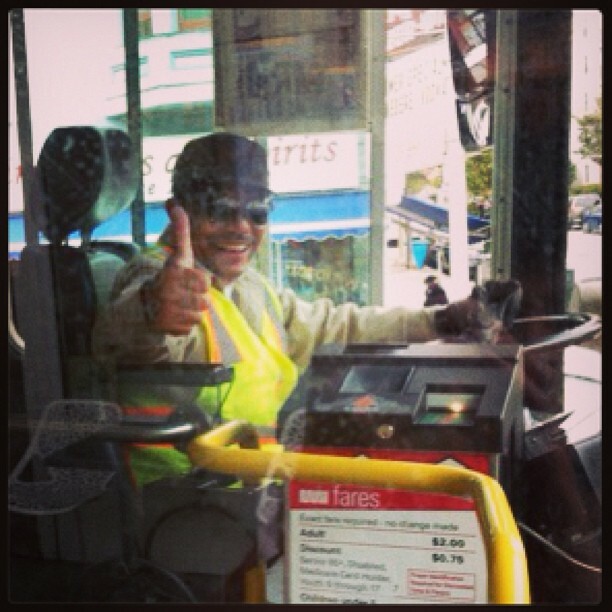 as we race the 22 Fillmore Muni Bus from the Marina Green to the Athleta Store on Fillmore (at Clay). We’ll be awarding KOM (King of the Mountain) prizes to the first man, women, stroller or bus to reach the top of the Fillmore Hill, as well as overall top finishers. Post-race, we’ll celebrate at the Athleta store with snacks, hydration & stylish prizes! Runners, walkers, everyone is welcome! Meet at Cervantes & Fillmore no later than 6:15 pm, Wednesday, July 11th. According to Muni, a 22 Fillmore will depart this location at approximately 6:30 pm. To let us know you’re coming please register on our Facebook page, this is a FREE event. P.s. In case you missed the fun last year, check out the official post event Race Report. P.s.s. Allez, Allez, a few hill running tips can be found here. Cool photo! Very cool, Kelley, and very well written and including the disclaimers and all things (possible problems) to consider! Glad it went well! Sign me up for the next one with my Pigsta friends and I REALLY will do it this time! When is it??????? ?